Art Attack hosts Art Parties for kids, teens, and adults! 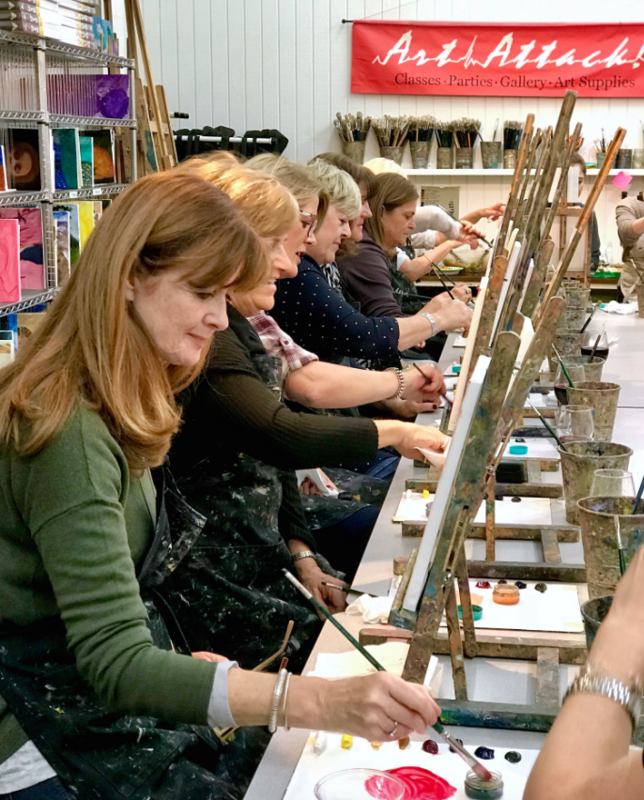 Art parties and workshops are perfect for all occasions such as birthdays, showers, family-fun night, friend’s night-out, and corporate team-building exercises. 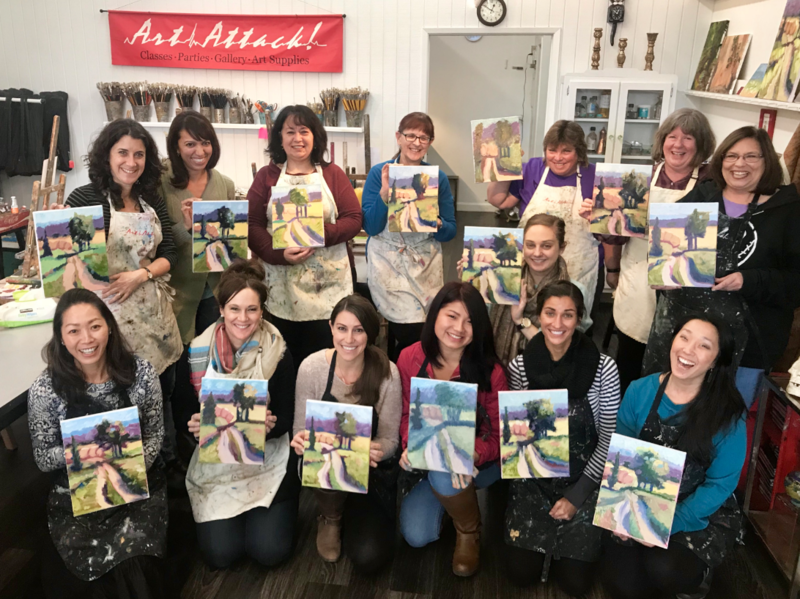 A 3 hour party includes: Up to 10 guests, art supplies, instruction, an original oil painting created by each guest to take home and an Art Attack t-shirt for the honoree. You may add additional guests and/or art goodie bags for an additional fee (up to 6 additional guests may be added). Call or scroll down the page to schedule a party today! When do you have parties? Parties are held on Sundays at 10AM or 1PM. Parties will last for 3 hours. Please inquire for additional party days and times. Do we need to bring any supplies? You may have up to 16 Artists for your party. You may bring in your own food and beverages for your party. If you are going to have food delivered, we would ask that you have it delivered in the last hour of the party. 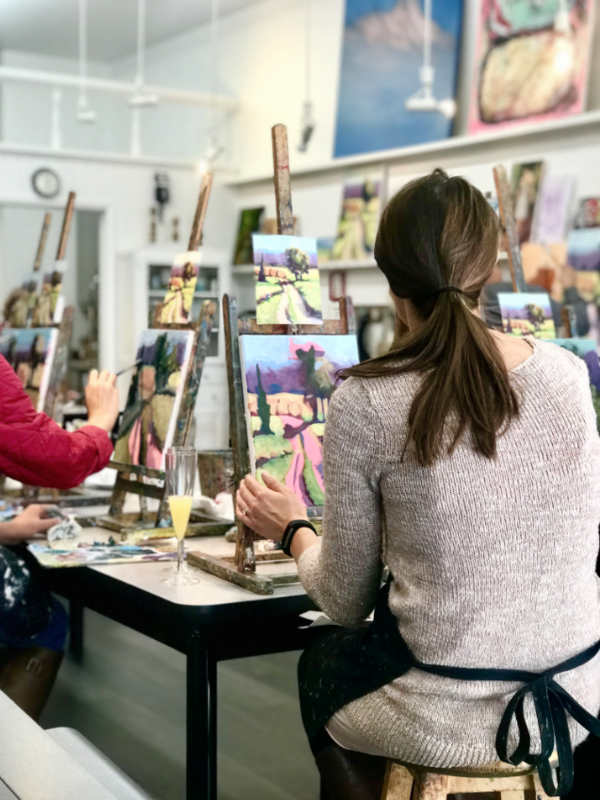 How can I schedule an Arty Party? You may request a call back here, or select the date and time you would like on the calendar and book online!